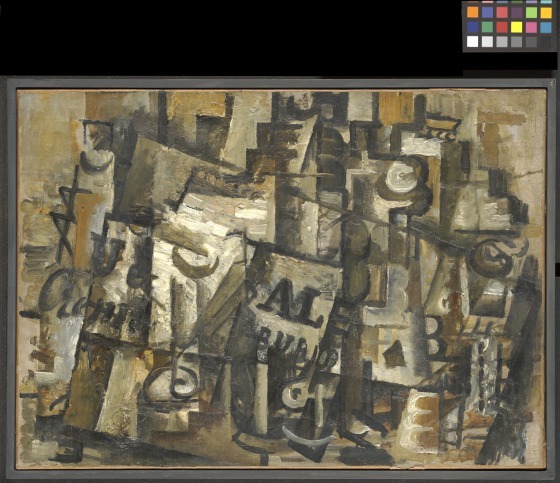 This still life embodies the essential characteristics of analytical cubism, the revolutionary mode of painting developed by Georges Braque and Pablo Picasso between 1908 and 1912. 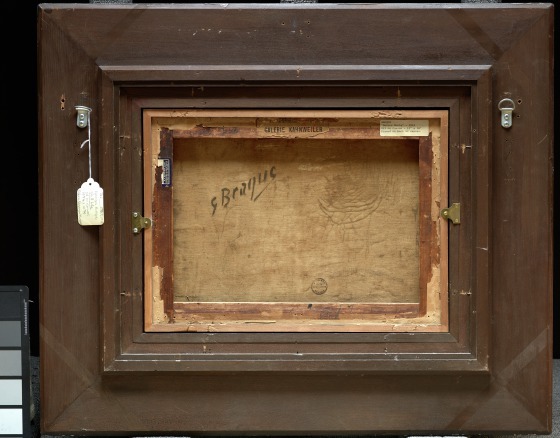 The artists visually analyzed their subjects, taking apart their external and internal surfaces and re-presenting them from different points of view in a single plane. 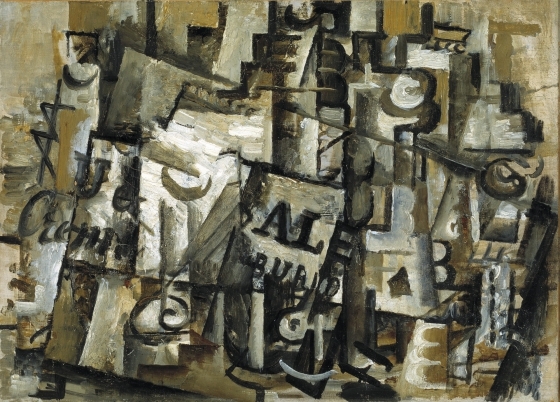 Although each item in this painting is reduced to a simplified geometry and then compressed to an extreme, one can still discern a liquor bottle, a wine glass, another bottle, and a playing card, all typical objects in cubist works. 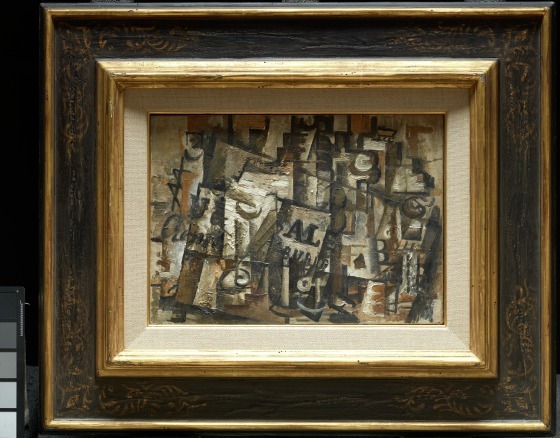 With its dense, almost flat, aspect and nearly monochromatic palette, the painting precedes by only a few months Braque's shift toward papier-collé collage. 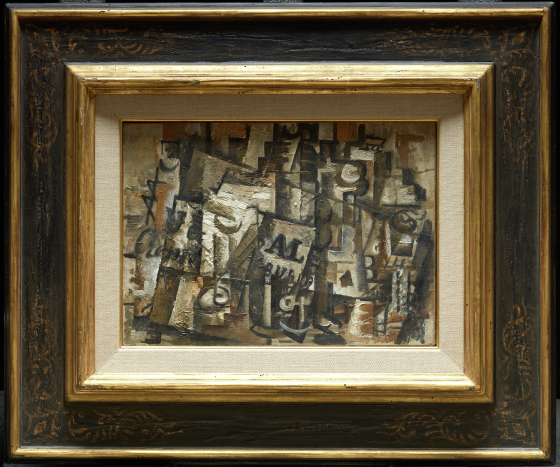 The painting once belonged to the dealer Daniel Kahnweiler, an early champion of Picasso and Braque. 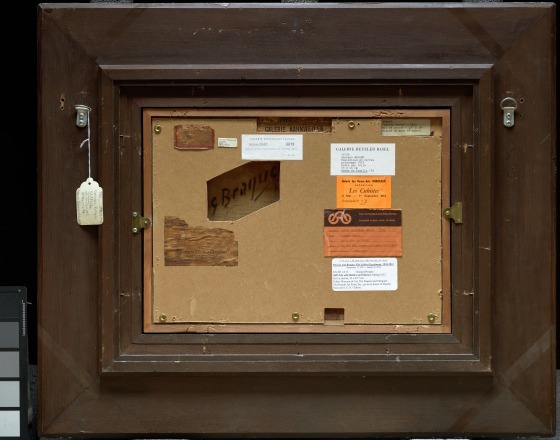 Bonnie Pitman, ed., "Still Life with Bottles and Glasses," in Dallas Museum of Art: A Guide to the Collection (New Haven, CT: Yale University Press, 2012), 238. Read a biography of Georges Braque. 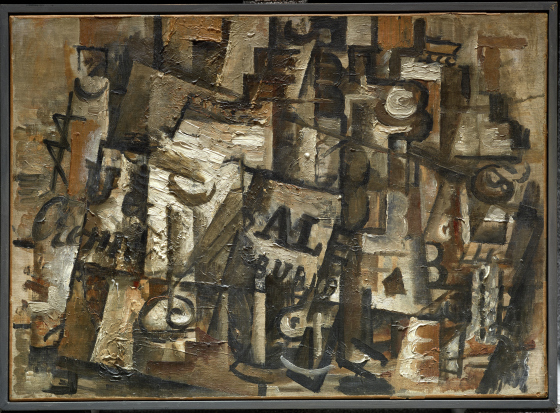 Learn more about Braque with this educational resource from MOMA. 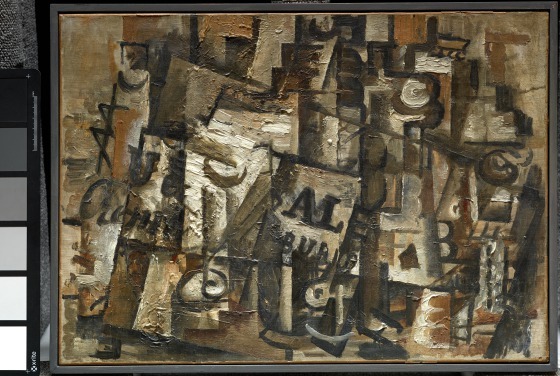 Explore cubism with the Tate.